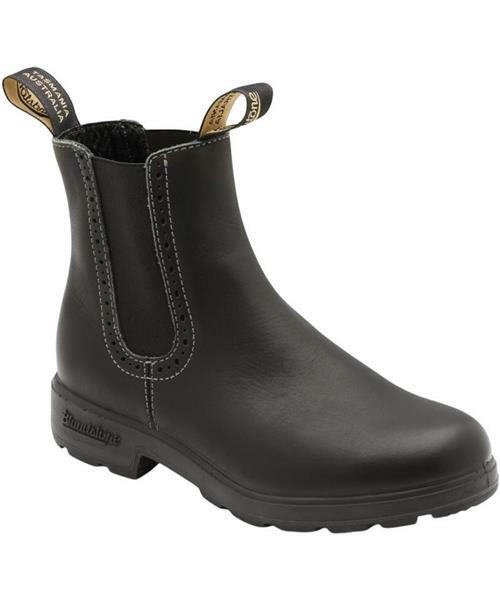 Blundstone's Womens Seroes Black with higher elastics and decorative leatherwork. Total comfort covered by the famous Blundstone warranty. ** For Men, Subtract1 size from your Canadian Size. * Polyurethane midsole for improved comfort and cushioning. * Thermo-urethane outsole for improved resistance to hydrolysis and microbial attack. * Steel shank for torsional stability. * Poron® XRD™ in the heel strike zone. * Extra set of footbeds for fit adjustment.